Tracy here excited to share with you my first card using the new Pion Design Greetings from The North Pole collection. Christmas/winter cards are my absolute favorite to make and my favorite colors to use are blue, cream, white, brown so I couldn’t be happier with this collection! Well what do you think, aren’t the colors just gorgeous? 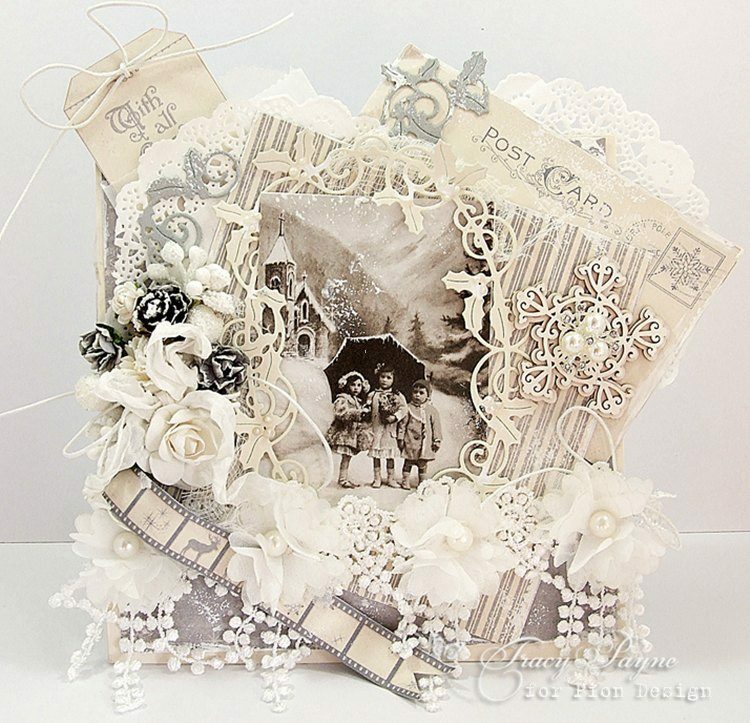 I used the image from the From Grandma’s Attic collection and made the inside to match. 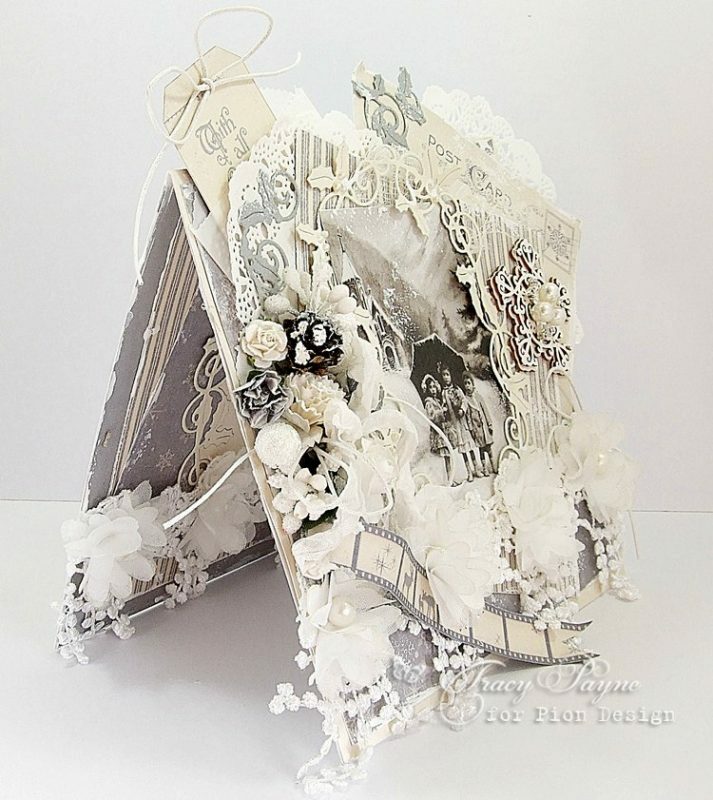 All the diecuts have been made using the Pion Design Palette and at the end of the post I have listed all the papers/cardstock used. 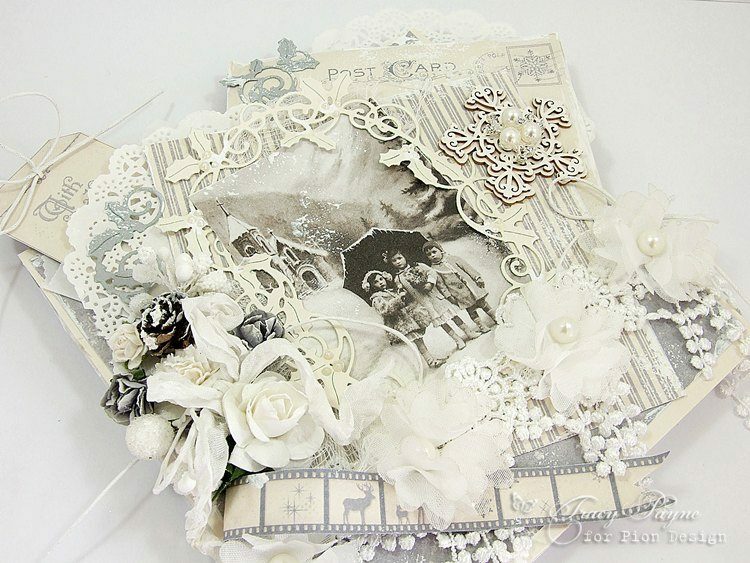 Wowwwwww,what a stunning beautiful card thx for sharing.